If you’re joining me from A.S. Fenichel’s wonderful blog (http://asfenichel.net/blog/ ), or just starting your journey here, welcome. By the way, her newest novel, Ascension, releases next week!! Pre-order your copy today! I remember clearly after finishing The Hobbit and Lord of the Rings, looking for and not being able to find any similar fantasy books available. (This was in the 1970’s, well before the Internet and Amazon). I was just starting to play Dungeons and Dragons and was looking for more fuel for my passionate fires. Not finding anything, I decided to write my own stories. Shortly thereafter Terry Brooks launched his Shanara series, followed by a whole host of new, D&D inspired fantasy fiction. But, I’d already started writing, and the stories kept coming. My stories usually start with a scene and a couple of characters. Most of the time it’s the opening scene, but not always. Mayn times I don’t even know where it’s going when I start out. I just launch into the story, following my characters around. I have added and deleted scenes in subsequent drafts, but rarely anything that significantly changed the original first-draft storyline. So, yes, the story unfolds as one big picture while writing my first draft. I have a unique relationship with my editor, as she is also one of my critique partners, so she’s reading my stuff before I “send” it to her. With Hearts in Orbit: The Blarmling Dilemma, she told me she wanted the book before I’d even finished the first draft. I did finish the story and do three editing runs through it before I sent it to her. To be honest, though, I do tend to go back and edit during the initial draft, and always do an additional edit run on whatever chapter I’m sending to her for critique. So it’s hard to tell how many times I’ve actually gone through a story, and some parts are run through more than others. Well, there you have it. Let me know what you think in the comments below, then click through to see how Kim Handysides (http://kimhandysides.com/) answered today’s questions. If you’re joining me from Jo Richardson’s wonderful blog, or just starting your journey here, welcome. Our three questions this week come from JJ Devine. 1. You’re moving right along with a storyline and suddenly it takes an unexpected twist. Do you go with the flow and follow where the twist leads you or do you conform your story to your way? Well in my case, every twist is unexpected. I let my characters lead me around by my nose. But they always have a better story to tell than the one in my head, so I just follow along. Occasionally though, they do need a bit of a nudge back toward the ending we’ve both agreed is where the story is going. 2. What time of year is your best time for writing? Winter, Summer, Fall, Spring? Winter, without a doubt. I live in Wisconsin, and hate the cold. Winter gives me the best excuse to stay in, keep warm, and write. 3. When looking for a publisher do you chose a traditional press, indie route, or one that does both, ebook and print? My publisher, Soul Mate Publishing, does both print and eBook versions of novels, but only eBook versions of their novellas, and the print version tends to lag the release of the eBook by 6-8 months. There’s nothing like holding your baby in your hands physically, and it’s still hard to sign an eBook at book signings, so I try to have print versions available of everything I write. I self publish my shorter works and create my own print versions. 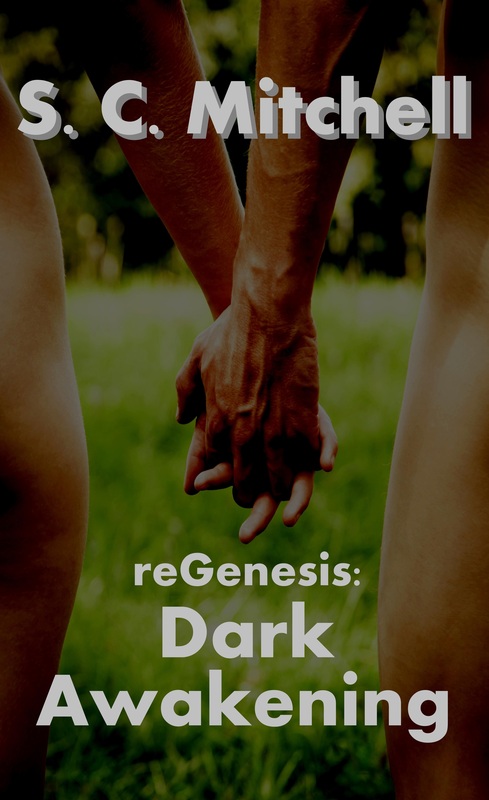 Even my new Short Story, reGenesis: Dark Awakening has a print version available, though I plan to use it primarily as a giveaway at book signing events for promotion. I’ve only had one story published that’s not available in print, a short story in the anthology Like A Coming Wave. The publisher said there was a possibility of a print edition, but it never happened. Regrets? I have a few. Well, there you have it. Let me know what you think in the comments below, then click through to see how Fiona Riplee answered today’s questions. reGenesis: Dark Awakening is now available. You can get the Kindle eBook version here: http://www.amazon.com/dp/B00NRBFJXC for just 99¢. The print version is also available from CreateSpace: https://www.createspace.com/5008279 and will soon be available from Amazon. Both versions include a sneak peek at the first chapter of Son of Thunder. The feedback received after Tuesday’s flash fiction piece got me thinking. I had this similar story I’d written a couple of years ago. Should i do something with it? So I pulled it out and dug in, updating and editing. I’m happy with the result and plan to release it soon as a stand alone short story. After Heather Corbin died, her life took a real turn. Reviving in a younger version of her body, Heather finds herself in a strange laboratory in the company of robots and a younger, sexier version of her husband Jim. On top of that, she discovers she’s one hundred years in the future, and one of only a few living people on Earth. Does humanity even stand a chance? Will I do anything else with the reGenesis series? Only time will tell. There’s certainly more to tell. If you’re joining me from Mishka Jenkins’ wonderful blog, or just starting your journey here, welcome. This Week we have a writer’s flash fiction challenge courtesy of Jo Richardson. This story grew in my mind after seeing the image, and I couldn’t not write it, though I find the questions it poses, a bit disturbing. Why did he torture himself? He knew what her response would be. You fool. This isn’t Jill. Jill is dead. Pleasureclone11367 was simply a soulless, vat-grown mass of flesh, blood and bone, that looked and sounded exactly like his late wife. Jill had confessed shortly after their marriage that she’d sold the tissue and cloning rights to her body to pay off her college debt. This wasn’t even a person, just a pleasureclone. It wasn’t Jill. Her voice, but she couldn’t even remember his name. All men were John to a pleasureclone. It had taken Nick over a year to track down Pleasureclone11367. Yesterday he’d walked out frustrated after only minutes. But he knew this was something he needed to face. Somewhere, in that thing, was the last living part of Jill. Just cells, but still. He moved closer. Longing, needing. God, she even smells like Jill. He took her in his arms, feeling again those familiar curves against his body. His mouth so close, his bottom lip dragged across hers. He kissed her anyway. He kissed her hard, wishing, praying. But she didn’t kiss him back. He let her go, turning away. The shock of his kiss took Pleasurclone11367’s biological circuitry by surprise. Synapses fired in her cloned brain, causing severed neurons to reconnect…and she remembered. Well, there you have it. Let me know what you think in the comments below, then click through to see what Brenda Margriet wrote.